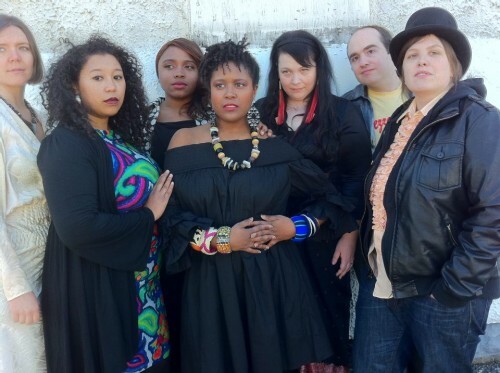 Coup Sauvage & the Snips is a soulful, sassy new DC band. The band may be new, but the members have been on the scene for a while. Members’ past and current endeavors include She.Rex, First Ladies DJ Collective , Troll Tax, Hott Beat, Mess up the Mess, Capital City Symphony, and Downbeat:Beatdown. We Love DC Music Editor Alexia got a chance to chat with the group this week, and here’s what they had to say. Alexia: How did the idea for the group come about? Coup Sauvage & the Snips: The idea for the band came from a Capricorn who wanted to keep the spirit of Boney M, Pepper LaBeija and Mahogany-era Diana Ross alive. Two Pisces and three Aries later, the Haus of Sauvage is here and ready to let DC have it. 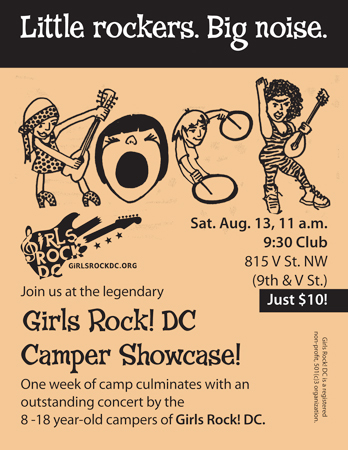 Most of us have known each other for years and been part of the same DIY and creative circles in DC. But it wasn’t until we discovered our mutual love of 70’s variety shows, ball culture and Rosie Perez-inspired dance routines that we decided to join forces last spring. We’ve been together ever since, and we’ll stay together. For the children. Alexia: How did you all come up with the band name? CS&tS: Elizabeth had a friend who visited Glastonbury, England. While she was there she met a man known as “The Wizard of Glastonbury.” He was a blissed-out guru who was a hairdresser in London during the height of glam rock. One night, when everyone was well gone on whisky and dolls, the Wizard offered Elizabeth’s friend a haircut. The result was a massive mushroomy mullet that resulted in uncontrollable sobbing. The story goes that the Wizard was super insulted and said “You don’t like this cut?! I gave this cut to everyone in the 70′s! I gave it to Bowie! It’s the Coupe Sauvage!” We dropped the “e,” but kept the rest. Without the “e” it means “savage blow” in French. But in honor of our wizard friend we like to use his meaning, “savage cut.” And since Gladys had her Pips, we’ve got our Snips. Alexia: What are some of your musical influences?